To get to Cody Strauss’s class on Saturday morning, I crossed a precarious makeshift bridge of sticks across a steady flowing stream. Of course, I could’ve come by way of the front entrance, past the Mill Valley Public Library, but that just wouldn’t be like me. Up on the Amphiteatre stage, we laid mats out on the wooden platform to the sound of crows calling and the stream twinkling by, you could almost taste the morning fog as it cleared. I looked up at the circle of redwoods surrounding me, as the sun starting to poke through and wondered if I’d died and gone to yoga-in-nature heaven. Around me were locals of all ages. A little girl entertained herself by doing downward dog underneath her moms’ as someone else’s grandmother, and even one man looked on. Cody Strauss, a trained modern dancer and all-around adorable spirit, led the class with flowing, opening movements. She reminded us to tune in, give love and receive it from the majestic nature around. The class was easy to follow and just challenging enough to be accessible to yogis of all levels. Best of all, it’s FREE once monthly, inviting residents to take part in weekly classes at the Mill Valley Community Centre. Cody also teaches yoga at the MVCC Wednesday evenings 5:30pm (restorative), Friday afternoons at 12:15pm (gentle), Sundays at 10:30am (Hatha practice), and of course, free fresh-air yoga happens on the 1st Saturday of every month at 9am (unless it’s pouring) at the Amphitheater behind the Library in Mill Valley’s Old Mill Park. I’ll see you at the next one! For more information on Cody Strauss, who can also help organize your home for your next big bash, please click here. And for other Mill Valley Community Centre yoga and events, please click here. 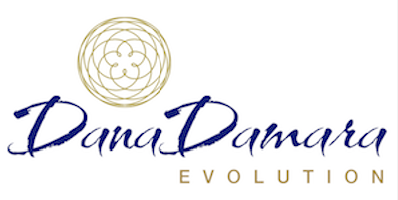 Oct 5 Uma Dinsmore-Tulli Brings Womb Yoga & Total Yoga Nidra West! !